Rose Spehar-Isaacson, 63, of Lake Vermilion, Tower, died on Friday, December 1, 2017 after a long battle with scleroderma. A Memorial Mass will be held Saturday, December 9, 2017 at Holy Spirit Catholic Church in Virginia at 11:00 am with visitation one-hour prior. Fr. Brandon Moravitz will officiate. Arrangements are with Range Funeral Home in Virginia. To sign the online guest book or to send condolences, please visit www.rangefuneralhomes.com. Rose was born January 5, 1954 to Nick and Mary (Paun) Spehar in Virginia. She was a graduate of Roosevelt High School and Bemidji State University, where she excelled in swimming and track and field. 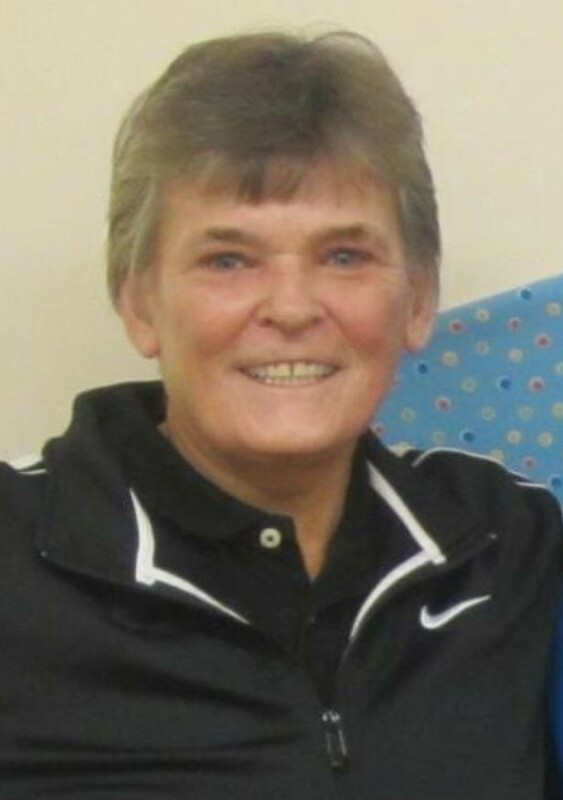 Rose taught adaptive physical education in Chisholm and then worked for the Northeast Service Co-Op as a consultant for physically handicapped, health impaired, and traumatic-brain-injured students throughout northeastern Minnesota until her retirement in 2011. Rose coached girls’ and boys’ swimming in Chisholm, girls’ swimming for Babbitt-Embarrass and later Northeast Range/Ely and golf for Northeast Range/Ely. Rose married Jon Isaacson on May 10, 2010 at their home on Lake Vermilion. Everywhere Rose went, she met old friends and made new ones. In her 34 years of working with students and athletes, she impacted the lives of hundreds of young men and women. I was a number of years younger than Rose and didn’t know her personally, but I remember in the early 70s when she set the national H.S. record for the softball throw in track. It was a big deal. My thoughts and prayers go out to her family and friends. My condolences to Rose’s family. I only got to know her the last couple years as a fellow golf coach, but she was always so helpful. Rose will surely be missed. She will be missed. Apologize for the misspelled word. I am so sorry for your loss. Rosie was a high school classmate of mine. I’ll always remember her as a nice, sweet, caring and kind person. The world would be a better place if we had more people like Rosie. I’m glad I had a chance to visit with her during our class reunion this past July. She will be missed. Rose was one of a kind. I had the privilege. Of working with Rose thru swimming and golf. Always a smile and a funny thought about all situations. She loved her athletes. And students and went out of her way for them. You will be missed Rose. Sorry for your loss Jon. Rose was such a source of information and support to me when my son was in school. I am so sorry for your loss. Got to know Rosie through ladies golf. Awesome person with a great sense of humor and always a smile. First person I knew who had a remote control golf push cart!! She will be missed. My condolences to her family. I had the honor and pleasure of working with Rosie for many years. I will always remember her competence, determination and willingness to serve the kids of the region with great enthusiasm. I am so sorry for your loss. She was way too young to leave us. Rose worked with a a few of my elementary students when I was teaching at Babbitt (NER). I loved seeing her in the building and talking with her about her dogs. She always had a smile and smelled great! She will be missed – and remembered! Rosie worked with a a few of my elementary students when I was teaching at Babbitt (NER). I loved seeing her in the building and talking with her about her dogs. She always had a smile and smelled great! She will be missed – and remembered! Losing a great friend like Rose if very painful for me but I am so thankful to have worked with her and become friends with her. Her kindness and caring were a constant in her life. And I will always treasure my memories of her, especially her wonderful laugh! I was honored and privileged to work with Rosie for many years. She was a delightful, competent, caring and steadfast colleague. She drove through the worst of weather to make sure her kids were served. I am so sorry for your loss; she was way too young to leave us. Wishing you peace in the difficult days ahead. I had the opportunity to work with Rose while teaching adaptive phy-ed and coaching girl’s swimming. Rose always had something funny to add to every conversation we had. I will always remember her with a smile. We will miss our good friend Rose greatly. We went to school with her in Virginia. We will miss the twinkle in her eyes, her sense of humor, being able to talk to her & meet with her for lunch. She loved Jon, her dogs, & her bird. She was one of a kind. May she rest in peace. To Rose’s Family, I lived with Rose while attending Bemidji State College, many moons ago. There was 4 of us young women living in a basement apt, on Beltrami Street ,that I am sure would not pass code today. Rose was such a delight, always upbeat , you made me laugh Spehar. Thank you, Rosie for being you. I am so very sorry to hear about Rose. She was the consummate special educator, proving leadership locally and to the state. I am a better educator because I worked with her, and kids benefitted from her work. We are so very sorry for your loss. Coach Rose spent so much time teaching our son Brandon how to be a great golfer. We have good memories going to the state championships with Rose and Brandon and will cherish them always. Rose was so full of life, love and light…it is so hard to believe that she has passed. She has left you – and all of us – with memories and lessons for a life time. Those are our blessings which will help us as we navigate life without her here. Love to all of you….